Gaia Herbs Women Balance is a dietary supplement designed for restoring your hormonal balance back to normal for women undergoing menopause. It helps keep your hormones balanced. Furthermore, it helps resolves PMS issues as well as improves your mood and vitality. It contains natural ingredients that help deal with the change in hormone balance for women going through menopause or with similar issues. The supplement is helpful among women of all ages experiencing hormonal fluctuations. The manufacturer claims the product helps balance hormones in women undergoing menopause. It also claims to be useful for women of all ages experiencing similar menopause associated problems. The product claims to function by using potent natural ingredients harmonize hormonal change in women going through menopause. Alfalfa leaf – It gets rid of toxins in the body. Red Clover blossoms and tops – It helps regulates amount estrogen in the body. Chaste Tree berry – It helps to promote regular menstrual cycle and helps with menstrual bleeding. Oats milky – It helps boost sexual health as well as increase libido. St. John’s Wort flower buds and tops – It is essential in improving emotional health. Dandelion root – It is highly nutritious helps improve liver function and overall health. Blue Vervain – It helps the body get rid of toxin and promotes proper liver function. Dandelion leaf – It helps supports natural detoxification. Sage leaf – Improves the working of the nervous system. Glycerin – It promotes healing, reduces irritation, prevent dehydration and body endurance. Vegetable cellulose – Improves digestion and helps you maintain stable amounts of sugar in your blood. Gaia Herbs Women Balance Review- Does It Really Work? 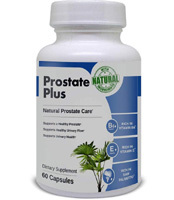 The product claims to restore hormonal fluctuations back to normal quickly. The supplement formulation consists of natural ingredients that help the body deal with hormonal changes associated with menopause enabling you to go through the phase with minimal disturbance. It may help restore your vitality. It may facilitate hormonal balance. It may also help with problems associated with PMS. It is suitable for women of all ages experiencing hormonal fluctuations. The manufacturer does not refund money in case of dissatisfaction with the product. It has few customer reviews. The manufacturer recommends that you take the dietary supplement one capsule three times a day but to achieve the best results you are advised to take them with plenty of water in between meals. It should not be used by pregnant or nursing women. You should not take beyond the advised dose. It should be taken with plenty of water. The product should not be left to children. For those with medical conditions, it is advisable to consult your doctor before taking the supplements. The manufacturer does not clarify how long you should utilize it to see any improvement. However, the results may vary from one person to another depending on your individual body response. The manufacturer claims the product has no side effect. It claims the supplement contains natural ingredients. However, you cannot rule out the possibility of an allergic reaction if you are allergic to some of its elements. Women usually experience shifts in hormonal states for most periods of their lives, especially at menopause. These transitions may sometimes result in hormonal imbalance and affect the mind and body, leading to mood swings among other serious health issues that interfere with their lives. Gaia Herbs Women Balance is a product tailored for women going through menopause, to help them deal with hormonal fluctuation that comes along with it. It claims to restore hormonal upsets that come at different ages as one moves from one stage to another. 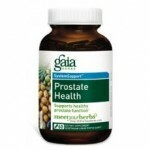 It brings back your vitality as it keeps your hormone level balanced. It claims its formulation is an all-natural blend of active ingredients that work to soothe your body and restores your hormone level to normal. It claims to be a fast and effective solution to deal with the problems brought about by hormonal upsets. However, it is essential to find out more information about the supplement before buying it. Therefore, this will ensure that it is safe and suitable for you and delivers you the results you seek. Besides, this will inform your decision on whether to use this product or go for an alternative.